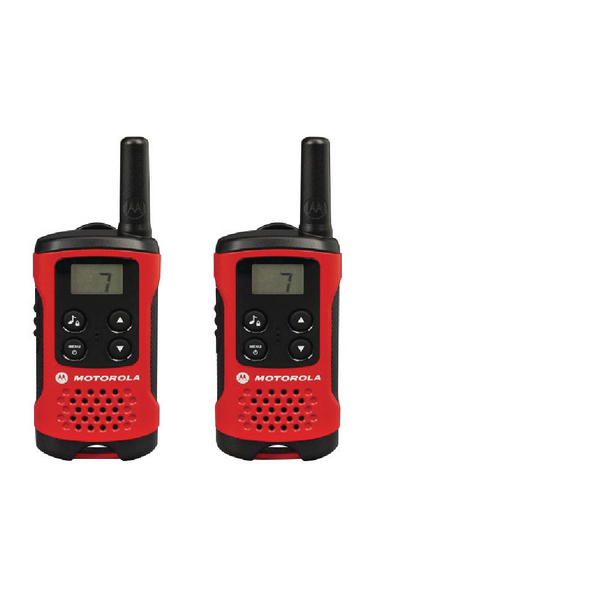 Compact and easy to use, the Motorola TLKR T40 Two-Way Radio is a handy way for families and small groups to keep in touch. With a clear LCD screen and simple push-button controls, its easy for anyone to use. Scan and channel monitor mode alert you to incoming messages. Despite its small size, the 500 mW transmitter gives you a range of up to 4km, and you can switch between 8 different channels to avoid interference.